I'm not kidding when I say all I do to her hair is brush it after I wash it and it naturally looks like this. I know it is wrong to be jealous of your daughter, but come on! I want that hair! The winner of the Tennessee State Fair Giveaway is Bianca. Congrats!!!! Email me ladies and I can get you your prizes! I want her hair too!!!!!! I live in sunny Florida, and unfortunately, it won't be sweater weather for quite a while yet. Which is sad, because I loove wearing sweaters and jackets. 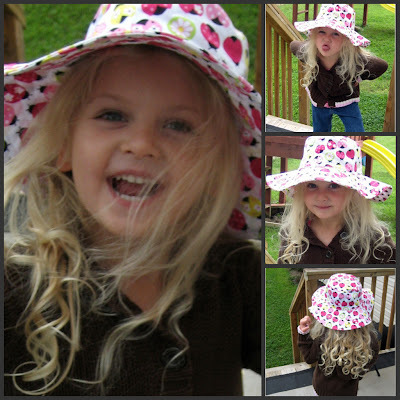 ADORABLE photos on your blog! She is adorable....Congrats to the winners. No way, I want that hair too. ♥ She's adorable! I love her hair!! !